In the mountainous and forest heights in the north of Iran, in the fog, a big mistake disrupts a love story. The family falls apart, and the older generation cannot help the younger generation. The old generation is disappointed with life, confined at home, in pain, and the young generation, inexperienced and wild, seeks a new way of life. The cost of expiation is nothing but loss, destruction, and insanity. 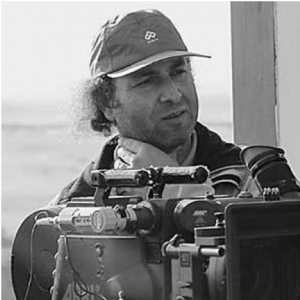 Ali Mohammad Ghasemi is an Iranian director, cinematographer known for Writing on the Earth (05), Shahr Banoo (10), Dogs and Fools (17). His short films have been selected in festivals like Cannes, Venice, and Berlin. Ghasemi’s 2005 fiction film Writing on the Earth was an official selection at the 20th Venice International Film Critics’ Week in the same year, and his new film Dogs and Fool centered the 20th Shanghai International Film Festival (17).